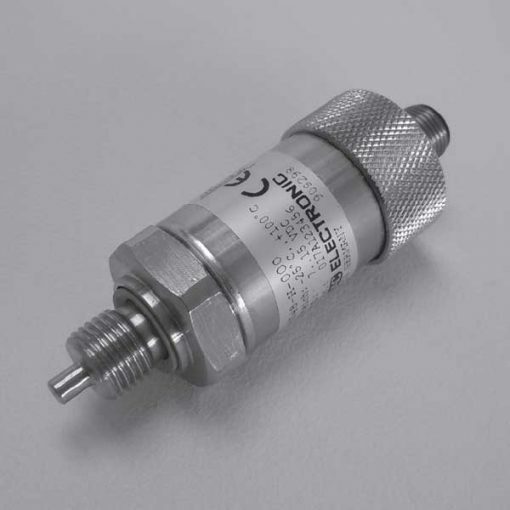 The HYDAC electronic temperature transmitter ETS 4548-H is an electronic temperature transmitter with HSI sensor recognition. It serves for use in conjunction with HYDAC measuring instruments HMG 500, HMG 510, HMG 3000 and CMU 1000. Plus, for data transmission, the ETS 4548-H has an HSI interface (HYDAC Sensor Interface). What’s more, the recognition of the HSI sensors is automatic via the HSI interface by the above-mentioned HYDAC measuring instruments. Also, each sensor gives all the necessary basic settings. Furthermore, the ETS 4548-H features a robust design and excellent EMC characteristics. To conclude, based on a silicon semiconductor device and corresponding evaluation electronics, the temperature sensor measures temperatures in the range -25 to +100 °C.